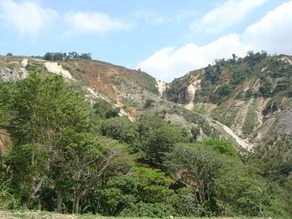 A 2007 tour of depleted sugar fields in the Dominican Republic, led by the Senator of Monte Plata Province, began our concern for new uses of sugar, and biofuel. 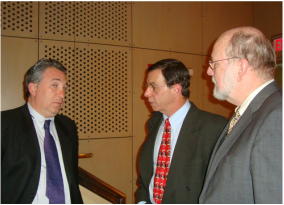 Further visits and discussions in 2008, including one of the roundtables at our Partners Against Poverty annual event at the UN, led to a series of four seminars on biofuels and renewable energy in 2009 at the UN and in the D.R. ​With the January 2010 earthquake in Haiti, and meetings in Florida on Haiti reconstruction, PPAF turned to examination of ethanol cookstoves as a step toward resolving Haiti's problems of poverty, health crisis and deforestation. ​For further, recent information please see the "Clean Cookstoves and Fuels" section of this website. "Poor access to energy entrenches poverty, constrains the delivery of social services, limits opportunities for women and erodes environmental sustainability at the local, national and global levels." The recent growth in solar, wind, geothermal, and biomass energy, coupled with ongoing technology improvements and cost reductions is making a growing array of renewable energy options available. The European Affairs Committee of the UN Association of the USA Southern NY State Division Young Professionals and the UNA Southern NY State Division Energy Project organized an event on "Renewable Energy and Policy" at the Austrian Cultural Forum in New York City on March 27, 2012. The Rotary Club of New York held an event, "2012: The International Year of Sustainable Energy for All," on March 19, 2012 at the General Society of Mechanics and Tradesmen in NYC. ​Videos of the evening are available on the PPAF YouTube site. A Side Event to the UN Commission on the Status of Women, “Rural Women: Energy, Health and Water” was co-sponsored by the UNA Southern NY State Division's Energy Project, the UN Foundation and PPAF, and was held at the UN Foundation's New York office on March 6, 2012. Videos of the presentations by Garland, Hart and Stillman are available on the UNA-SNY YouTube channel. Working with the UN Office for Partnerships, PPAF organized this meeting at the UN in New York on June 3, 2011. It followed the June 2 meeting on electricity convened by UN Energy and the private sector. ​Click here for more information under the section News and Events. Over 100 participants gathered in Orlando, Florida for the Disaster Response & Recovery Summit held on 1 & 2 March 2011. David Stillman was an invited speaker. He presented the work of the Ethanol Cookstove Initiative for Haiti and related PPAF activities, and met with many business and other representatives at his discussion table. PPAF collaborated with SImACT members and other participants in Brooklyn NY on January 15, 2011, for a presentations by Harry Stokes of Project Gaia and David Blume of Blume Distillation concerning the opportunities for ethanol-fueled clean cookstoves and community scale fuel distillation in Haiti. SImACT is a Haitian-American investment group. ​Invited by the Kiran G. Patel School of Global Sustainability (photo left), David Stillman briefed the U of South Florida community on sustainable development and renewable energy in Haiti, the Dominican Republic and other developing nations. ​As a follow-up to the October 2009 meetings on bioenergy in the Dominican Republic, the National Energy Commission (CNE) of the D.R. 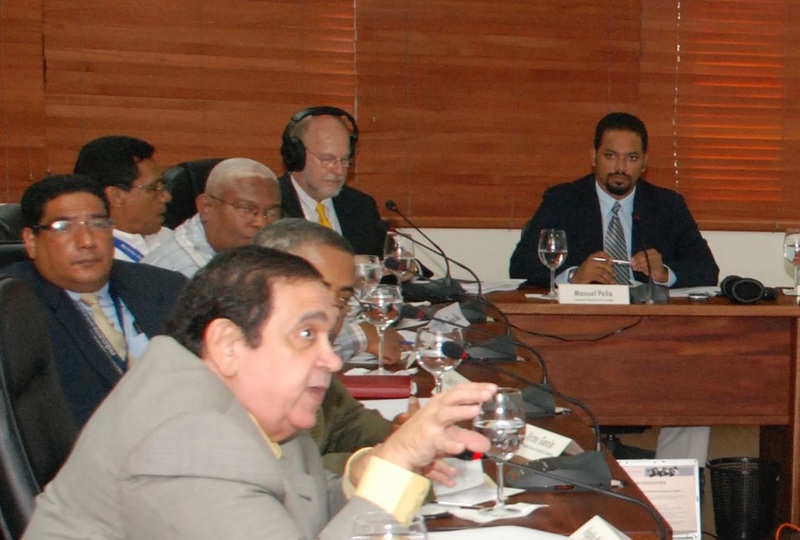 hosted a series of sectoral discussions on bioenergy and other renewables in December 2009 in Santo Domingo, in cooperation with PPAF and ResearchPAYS, Inc. The Ministry of Foreign Affairs, the RJS Group, S.A., and the UN Office for Partnerships (UNOP) sponsored the event. ​PPAF and ResearchPAYS, Inc., organized the "Third International Debate on Bioenergy – Risk Management and Business Model Innovation" October 2009 in Santo Domingo, D.R. Hosted by the Ministry of Foreign Affairs and the National Energy Commission (CNE), the event brought together leaders from the government, business, financial, non-profit and academic sectors as well as from the United Nations. ​A group of 25 high-level participants from the Dominican Republic, the US, Haiti and the United Nations met on 17 June, 2009 in continuation of PPAF’s 7 May Third Annual Partners Against Poverty event at the UN. The May event was a facilitated discussion for Business Model Innovation on the development and production of ethanol and biofuels. The Third Annual Partners Against Poverty event at the UN took place on 7 May 2009 and featured a facilitated discussion on investment partnerships for ethanol and related bioenergy development and production. A group of 45 professionals and government officials from Brazil, the Dominican Republic, Haiti, Honduras, and the U.S. joined the discussions. Seventy representatives from the United Nations, the private sector and civil society met on Wednesday, 16 July 2008 for a half-day of deliberations on “Partners against Poverty – Awareness, Agreements and Actions”. This second annual meeting treated several main themes of the Foundation’s work, including agribusiness; tourism & the environment; women, entrepreneurship & microfinance; health; and renewable energy.